Today I am going to talk about a subject, that once I dug into it, I found quite emotive – the financial education of our kids and grandkids. It was only when it was pointed out to me that I relaised money and finance is NOT taught in schools. That got me thinking, why on earth not? The bottom line is that our children leave school with zero understanding of how money and finance work. That is a global disgrace when you think about it. And, if they go to college or university, the come out of the other end after three or fours years of intense education with what? A qualification…and a huge debt! In the same conversation, I was told that the total student debt in the U.S is not over $1.5 trillion. The average debt an American sudent leaves college with is $38,000. It’s a similar story in the United Kingdom where the average debt after University is over £30,000. Maybe, just maybe, the governments of the world don’t want to teach our kids about money? Maybe they want to “plug” them into a system that keeps them “down” and working as tax payers for their entire lives? The student debt being the handcuffs that keep them there. Maybe that is something of a conspriacy theory, but, hey the pieces fit. Maybe the people need to wake up and smell the coffee? Thankfully, someone has seen fit to do something about it. 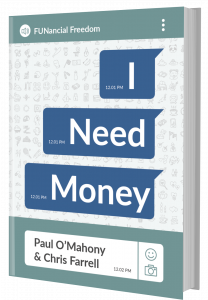 Two entrepreneurs Paul O’Mahony and Chris Farrell have taken it upon themselves to start a program to educta eour kids and teens on the ways of money. They have written a superb book callked “I Need Money – The Ultimate Guide To Money For Teens”. Written in an easy to understand, straightforward manner, it takes the student by the hand and teaches everything they need to know about money and how it works. They gently guide the reader through their L.E.A.P system for understanding money and finance and how it works at the most basic level. I was going to do a full reviewm but the Internet is all about sharing and getting information “out there” and my freind Derek Armson in the U.K has written an extensive review. So, I am going to direct you to him. So, rather than me re-write and regurgitate what he’s already done, read his review – it’s really rather good. Derek is an entrepreneur in the U.K and he is actually in Paul O’Mahony’s mentoring program so he knows Paul and Chris personally. He told me that Paul is one of the most amazing people that he’s ever met. He joined his mentor program in October 2018 after going to a weekend bootcamp with him. 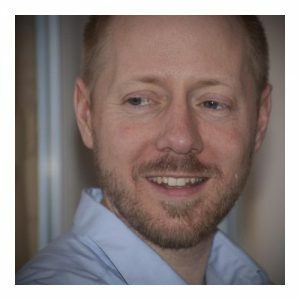 “He is an amazing information sponge”, says Derek, “he consumes vast amounts of information, processes it and then makes it available as simple and easy to follow trainings. When I was on the bootcamp he said it was the last one he was ever doing personally. I’m so glad I got to meet him and work with him”. “However, his primary goal in life now is the financial education of our children. He see’s this situation that Dana, you have described so eloquently, as a massive failing by Government. So, with Chris, who I have also met, they are on a crusade to right what they perceive as a massive wrong”. 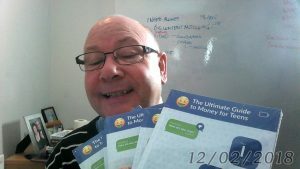 So, Derek is actually giving away five copies of “I Need Money” – why are you doing this? “It’s simple really”, he smiles, “Paul is on a crusade to make this happen. To make the understanding of money and finance part of the youth psyche. I’m just happy to help by promoting this cause. After all Paul has helped me so much. So, I feel sort of tied in to the cause. Consequently, I’m just helping to spread the word by giving away a few books”. Click on the following link to read Derek’s review and also that chance to get a free copy of this incredible book. Being a software sales person in the past, when long-established software was dependent on unix and mainframe boxes as opposed to cloud based options available today, required a very different skill set to that which we now need in 2017. Prospects these days, conversely, are mostly anticipated to be aware of the most recent customer management tactics, and people with knowledge of the up-to-date trends tend to be thin on the ground, meaning that organisations attempting to recruit talent for their customer management methods, ventures may possibly have challenges searching for the right skills and people. It’s rtough out there as sales skill sets are yet to entrench. To seek and locate personnel having the right skill for a web sales vacancy, first you need to understand the market and how the latest on-line marketing disciplines all come together in their entirety. Searching for qualified new hires for companies who want to broaden their web-based marketing department or replace personnel who have gone is not, though, an overwhelming job for expert pre-sales and sales to technology recruitment group Harvey Thomas. Begun seven years ago, Harvey Thomas was one of the original agencies to hire for internet pre-sales, into Cloud, which at that time were innovative new technological advances since the sales development possibilities of the emerging technology was unfolding. The hazard in hiring for an undecided marketplace has paid off all these years afterward, mainly because the organization is now the 1st and only stopping point for technological businesses of all types when they need to employ pros with Technical Engineering Customer Success expertise. Companies needing to generate prospects in this area realise from practical experience that the consultants at Harvey Thomas can help them locate superior applicants promptly, as the provider has been recruiting for a good number of these people efficiently for in excess of a decade. 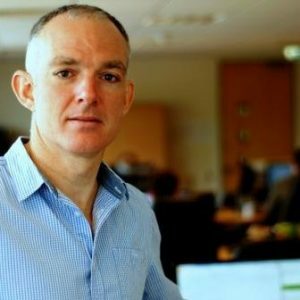 “As well as owning a large file of probable accomplished job candidates that we have constructed over the years, a good number of our hiring consultants have been working in the e-commerce or online marketing section, so have a thorough idea of the abilities that a likely recruit must have, and also where to find the best people,” says Harvey Thomas co founder Jon Eyers, who built the company from scratch with the business associate Tom Sturgess, remarks, “We keep a log of all Cloud, Customer Success job applicants we’ve provided in the past and stay in touch with them frequently, so we know if they’re ready to change jobs and then we can match them with suitable clients’ specifications”. 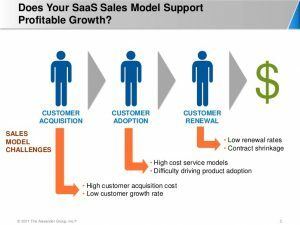 “Since we’ve been going on for that long, we have some of the most famous cloud, saas and paas corporations on our client book. But we also have new high technology startups who have come across our level of popularity and requested for us to assist them to employ people. “Furthermore we get to chat with the candidate before nominating them for a position,” Jon carries on. “We want to understand what type of job could appeal to the job hunters and how it could complement their future career projects. Companies provide very different everyday working environments and we would like to discover the suitable backdrop to be sure the applicant will almost certainly be completely happy there, particularly in software sales recruitment“. For information about recruiting with Milton Keynes, Buckinghamshire-based recruitment consultant Harvey Thomas, use this link to learn more. The typical wedding needs around 400 hours of organizing and planning, according to latest studies. That is a lot of time and effort, particularly if both you and your “intended” are working full time jobs. Each and every aspect has to be researched and established, such as flowers for the service and friends and family, menu choices, seating, wedding dress and bridesmaid outfits and, for sure, wedding site and hotels. If you want the perfect day, then you simply cannot leave anything to chance. The last thing you want is to be running around trying to organise things at your own wedding. The list of details – the scheduling and implementation of which has to be punctual – is surprisingly never-ending – and so is the added cost! However, there’s an ideal tactic to making the total process significantly less challenging by speaking with a practiced wedding planner to do all the important details so that you, your fiance or fiancee and your loved ones and friends should be able to really enjoy the date with no unwanted stress. Making use of a wedding coordinator is something that is becoming more typical presently. Employing a wedding planning consultant may be on the majority of young couples’ to-do list. Although, it’s not widely known that a qualified wedding planning service might be a lot easier to hire than you think. There is no doubt, each bride would like to have the advantages of a wedding planning consultant, and these days it may just be simpler than you think to employ one. It is suggested that you talk with a couple of wedding planners ahead of deciding on the one to use, and it’s much better if you choose somebody you like and get along with, because they are certain to be there with you in the background on one of the single most special dates of your life. 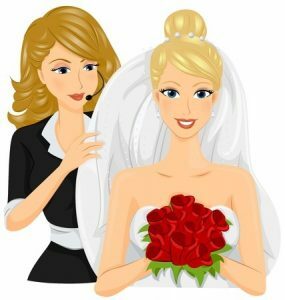 Soon after a wedding adviser is familiar with your unique criteria for the special day and the variety of celebration you want to host, they can inform you the scope of services which are offered and the price – as a rule of thumb, you could pick from complete event arranging, part event planning and wedding day-only co-ordination on the special day. When thinking about expenses, a large amount of wedding advisors will stay in the price scope you give them and if you direct them to, they will make sure that you do not go past your highest possible budget. A wedding planner could request a percentage of the total budget for the wedding as their charge, or they may present you with a preset cost limit, beyond which they do not ask for. Click here to view some more information about enjoying the benefits of a skilled wedding planner to make the special day go like a dream. A profession in web-based marketing nowadays may need a diverse skillset compared to just a decade or two back, when time-honored marketing depended on media such as print-based periodicals and broadsheets, TV and radio advertisements. Job applicants today, conversely, are frequently expected to be aware of the newest online marketing techniques, and people with know-how about the latest movements tend to be hard to find, which means that companies attempting to acquire talent for their online marketing activities possibly will go through difficulties finding the right new recruit. Hiring consultancies looking out for these new and specialist skills have to have a deep and absolute understanding of the online digital marketing landscape and all the various sectors within it as well as understanding how they all slot together – it’s a complicated jigsaw! Intelligent People is a specialty recruiting agency for on-line marketing and online retail, and its consultants have a exhaustive understanding of vertical internet marketing and sales sources. When partners Doug Bates and Chris Mason shaped Intelligent People in 2002 and targeted on new media work, not a soul if truth be told suspected what a big part the internet was going to play in the long run for marketing and commerce. At this moment the organization is a solidly recognized specialist recruiter in the frequently changing internet based world, having stayed in touch with every innovative development of infotech. Companies looking to recruit in this arena recognize from experience that the experts at Intelligent People can help them locate first class job hopefuls promptly, as the provider has been hiring for the majority of these businesses efficiently for just over a decade. “As well as possessing a sizable database of potential skilled candidates that we have established over the years, the majority of our hiring consultants have been working in the e-commerce or web marketing section, so have a thorough knowledge of the competencies that a likely new recruit requires, and also where to find the finest people,” says Intelligent People co-founder Doug Bates. “It’s taken a number of years, but I am able to now boldly point out that we have several exceedingly big productive – and well recognized – customers on our books quite frequently hunting for further expertise. Nonetheless we also have fresh technology start-ups who have been made aware of our repute and come to us to help them to employ people. “As well, our experts chat about each applicant’s wishes and job objectives to get a feel for the job opportunity they would be happy in. “It’s important that we don’t offer a job seeker for a position that doesn’t capture their enthusiasm or appeal to them. In addition what’s tremendously important is the company community they feel most comfortable in. So in case you’re a organisation wanting to grow your internet-based marketing or eCommerce team, or a candidate eager about a job vacancy in these sorts of areas and wondering about a change of career direction or new job opportunities, navigate to digital and ecommerce recruiter to see more about how Intelligent People can get you changing jobs.